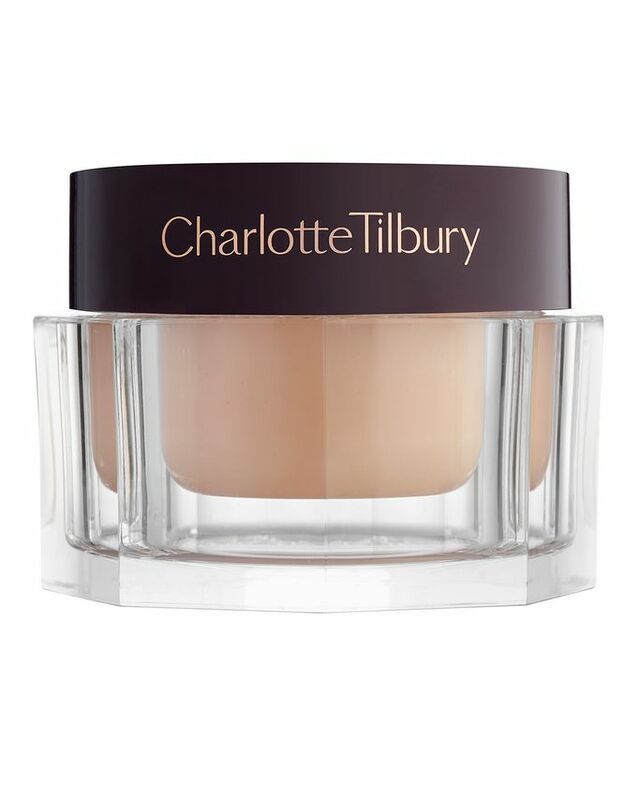 Four years in the making, Charlotte Tilbury refers to her Magic Night Cream as 'an anti-ageing, youth-boosting wonder cream-elixir!' Simply massage this 'overnight facial' into face and neck, then wake up with a 'film star' glow the next morning. Ideal before a big event (or red carpet appearance), this magical formula is packed with a plethora of hero ingredients - including retinol and bionymph peptides to boost creation of essential collagen - to leave skin enviably smooth, soft and 'plumped'. 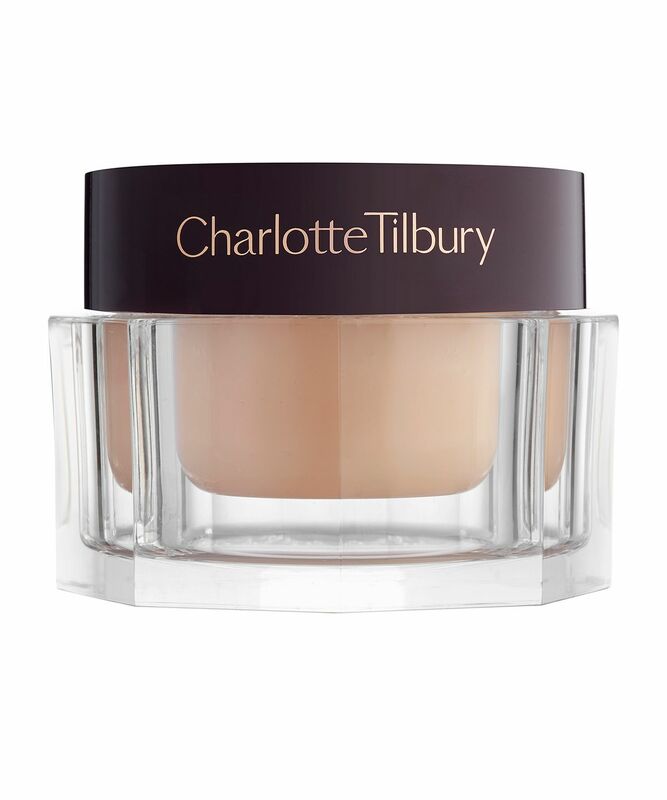 A hard-working night treatment should be an integral part of any skin care kit, and Charlotte Tilbury's Magic Night Cream is chock-full of essential, skin-nourishing extracts to dispel dullness and recapture a beautiful, luminous glow. With daphne stem cell extract, which cleverly 'binds' cells together to achieve a more youthful complexion, alongside bionymph peptide and retinol to accelerate collagen synthesis and in turn, bolster skin's 'bounce' and resilience, Magic Night Cream also creates a barrier between complexion and the elements; sealing precious moisture into skin while deflecting environmental stresses as you slumber. It's an absolute godsend when flying long-haul. Apply to the face and neck in small circular motions working from the centre of the face outwards using your fingertips. Glycerin, Aqua/Water/Eau, Ricinus Communis (Castor) Seed Oil, Caprylic/Capric Triglyceride, Sucrose Stearate, Ethylhexyl Stearate, Olus Oil (Vegetable Oil/Huile Végétale), Dipentaerythrityl Hexacaprylate/Hexacaprate, Hydroxystearic/Linolenic/Oleic Polyglycerides, C20-40 Alcohols, Isodecyl Neopentanoate, Butylene Glycol, Phenoxyethanol, Microcrystalline Cellulose, Cera Alba (Beeswax/Cire D'abeille), Ethylhexylglycerin, Chlorphenesin, Cellulose Gum, Hydroxypropyl Cyclodextrin, Parfum (Fragrance), Titanium Dioxide, Xanthan Gum, Chondrus Crispus Extract, Squalane, Helianthus Annuus (Sunflower) Seed Oil, Retinol, Peg-8, Caramel, Tocopherol, Daphne Odora Callus Extract, Ascorbyl Palmitate, Nicotiana Sylvestris Leaf Cell Culture, Plumeria Rubra Flower Extract, Ubiquinone, Lecithin, Ascorbic Acid, Citric Acid, Ascorbyl Tetraisopalmitate, Benzoic Acid, Hexyl Cinnamal, Benzyl Benzoate, Linalool, Hydroxycitronellal, Cinnamyl Alcohol, Eugenol, Red 33 (CI 17200), Yellow 6 (CI 15985), Yellow 5 (CI 19140). Sadly enough I cannot say good things on this cream and I must agree with the negative reviews. I don’t mind the stickiness (due to castor oil in the ingredients) but the problem is that this cream a caused strong irritation. Luckily I had a small sample and didn’t waist all this money (not to mention the fact that, considering the ingredients, this cream is waaay too overpriced). Yes, it costs a small fortune. Yes, it’s sticky as hell. But this night cream has done for my skin than possibly any other product I’ve tried. 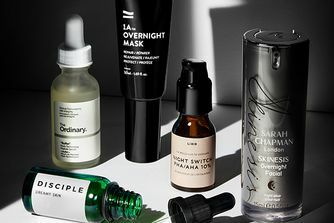 Because it’s expensive and sticky, I use just a minuscule amount, but wake up with skin that glows, with more even texture and is beautifully plumped up. I’m 47 with combination skin and pride myself on being pretty sceptical about claims for beauty products. But the CT brand tends to be quite generous with samples, which is how I stumbled across this. As well as at night, I also use it on frequent long-haul flights and look much better on landing as a result. Ask for a sample and give it a trial run. If you don’t like it (and many clearly don’t, judging from these reviews), you’re not out of pocket. But maybe, like me, you’ll fall in love. Overpriced. Read the ingredients in this product, causes skin irritations. This cream smells like jasmine flowers, which I don’t mind too much. It’s very greasy and sits on your skin, the problem is that it’s very sticky and in the night if you toss and turn your pillowcase sticks to your face. It’s done nothing for my skin and I wouldn’t recommend it. This product has improved my skin so well. I bought this cream two weeks ago and have been using it every night, I wake up in the mornings and my skin has a very natural glow. I tend to also use this under my makeup, as it makes it stick to my face and set very well. I really recommend this product to people who have dry skin as it is very hydrating however, it the consistency is very thick, so you will only need to use a pea size. Too sticky, sits on your skin and your pillow forever, not sure it helped my sensitive skin, vice versa, I got a very bad rash, I am not recommending it, maybe for dry skin on your feet. What a shame. I was so excited for this product. Yet my skin felt so greasy and blocked after using it and even 3 weeks later I saw little difference. Save for some congestion in my pores. Won’t be purchasing again. I purchased this product and the matching dream cream and found it to really irritate my dry, sensitive skin and made my eyes water. This is also a very greasy formula so I would not recommend it for oilier skin types.